Mac is brilliant and productive. That is why professionals and major companies using it in their workplace. They want to complete the tasks in a perfect manner and within less time. Everyone has limitations and Mac too. We should use proper tools to get the full power of Mac OS. You can find out tons of tools in the app store which can be used for various purposes. Their jobs include preparing notes, writing documents, save, check email and many others. We pick 15 best productivity apps for Mac systems in this post. Install them, based on the nature of your work, which will help you to improve efficiency in all related fields. 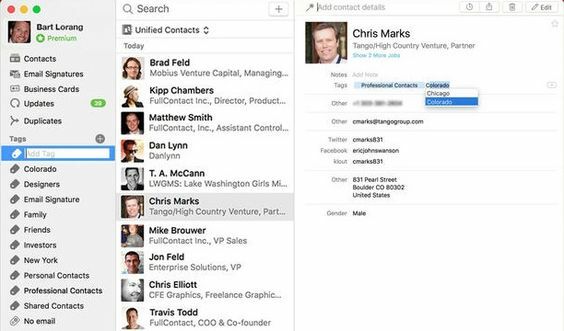 Full Contact is one of the best free productivity apps for Mac for contact management. It lets you access the contact details through a well-organized interface and make connections further easier. The contact list will be shown along with their photos, social accounts, and company info. So you can identify and connect them in no time. FullContact will combine and merge your address books in Google contacts, Microsoft Exchange contacts, Mac contacts, Social media accounts, etc. FullContact will combine and merge your address books in Google contacts, Microsoft Exchange contacts, Mac contacts, Social media accounts, etc. You can organize those details using tags and notes to find out easily at a later time. Merge duplicate contacts, backup to the cloud and sync across all devices and platforms are other main features of the app. Alfred is a beautiful app launcher for Mac. It helps you find any file, bookmark, contact, music and other apps from your local computer as well as the web. Alfred will memorize your favorite apps, websites, mostly using commands, calculations, definitions, etc and prioritize them in search results. 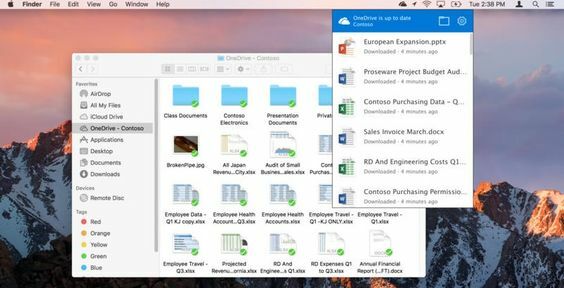 OneDrive is one of the popular productivity apps for Mac for cloud storage. It allows you to store all personal, work files and sync them with the cloud server. So you can open, edit and view them from any device you use. Are you a frequent traveler? Do you have connectivity issues in many places that affect your workflow? No problem. Work with OneDrive files even when you’re offline and automatically save them when you are online. Start your day with a simple, beautiful alarm clock. 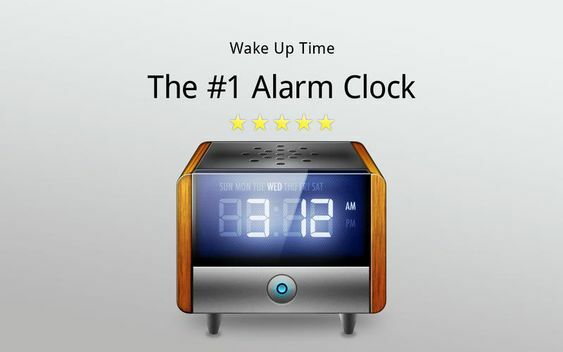 It will wake you up with a custom alarm sound of your choice or from amazing built-in sounds in the app library. It is highly customizable in terms of appearance, snooze time, volume and sounds. Wake Up Time is a must-have app for Mac devices to improve productivity and time management. 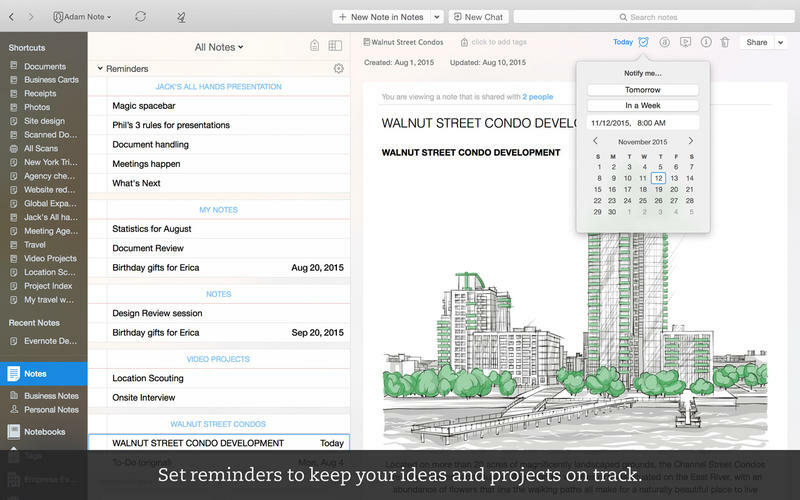 Organize your quick notes, to-do lists, projects, web clippings from one place. Evernote is an imperative tool for modern people to save anything they found on the web. It will work as your notepad, document scanner, to-do list, planner, and reader. Its scope of work is beyond your imagination and will do several things to keep you updated, smart and productive. 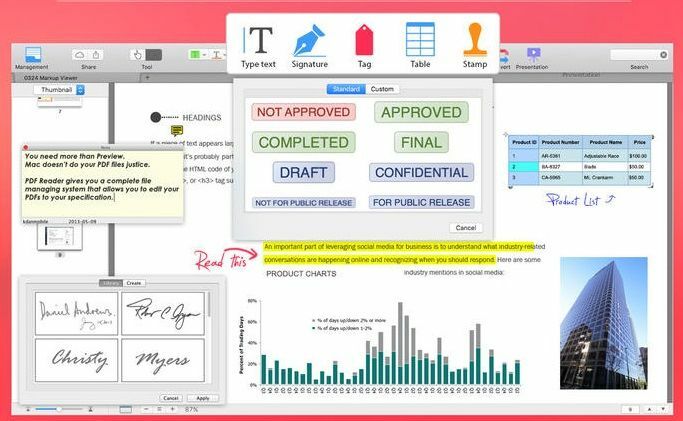 Skitch is one of the free productivity apps for Mac to visually share your thoughts and ideas with others. Do you find something interesting in a picture? or do you have something to say through a diagram? It could be a funny thought, innovative idea or a travel map. Take the picture, mark it up and send to others via email, social media, SMS, and others. 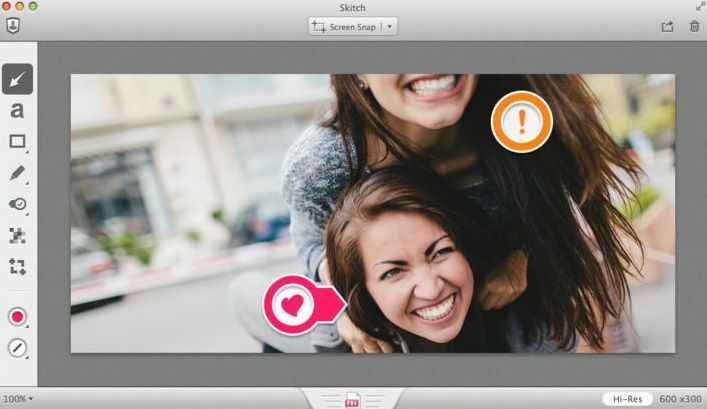 Skitch output is ideal for classrooms, traveling and business presentations to smoothly convey your messages and achieve goals. Write notes and attach anything you want like pictures, web articles, PDF files, web links to it. 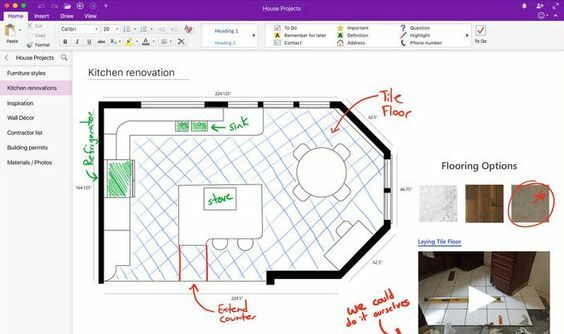 OneNote is an essential productivity app for Mac to take notes more elaborately. It comes with free-form canvas, you are able to type anywhere on the page and easily rearrange them to get the output in your mind. Organize your notes using tags, color codes, sections, and notebooks. Are you doing a project? or do you have some vacation plans? Capture your thoughts and share it with friends, co-workers. Collect their opinions in a shared notebook and combine all of them together before making the final decision. CloudApp is one of the simple productivity apps for Mac. 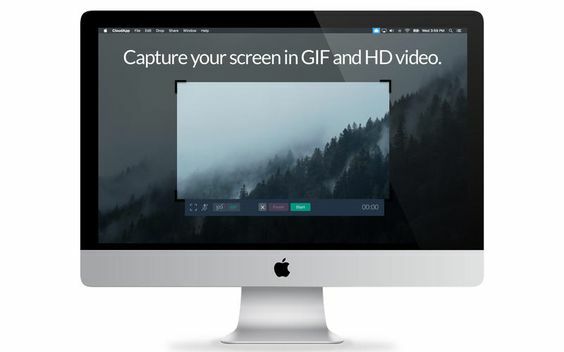 It will help you capture the screen, annotate them, create GIF files in a realistic manner. Do you want to share screenshots, images, files, links, code snippets or video? Just drag and drop them to create a shareable URL link. Add audio comments, annotations to clearly demonstrate the items and secure them with passwords. 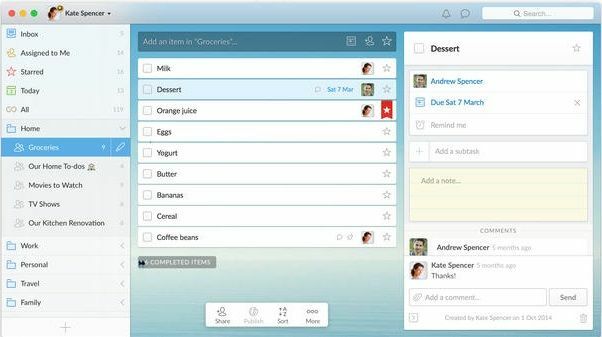 Wunderlist is another productivity app for professionals to create and manage tasks. It is my favorite app and using it from the very beginning. Wunderlist allows us to create, organize, schedule and share tasks from any device. Add subtasks, files, and comments to describe your tasks further. Do you want to categorize todos for easy access? Create lists to arrange them under different heads and share them with family, friends, and others. Set due dates for reminders to ensure that you never miss any important task. PDF Reader is simple, easy to use PDF file manager for Mac. It empowers you to view PDF files, annotate, label and edit them to any extent you want. If you have so many files, labeling is a good idea to easily locate them. PDF Reader helps you organize them by tags, colors, and genres. Highlight and underline texts to bring the immediate attention of the readers. Add sticky notes and text boxes to PDF documents if you have any questions to raise or thought to share. It also lets you authenticate documents by adding digital signatures to them. Microsoft is another best of productivity apps for Mac to create office documents, spreadsheets, and presentations from anywhere on the go. Prepare your personal files as well as complex charts easily with the app. Microsoft Office is an indispensable app for office works and used by millions of professionals around the globe. We are familiar with the product, so I am not going to explain it in detail. 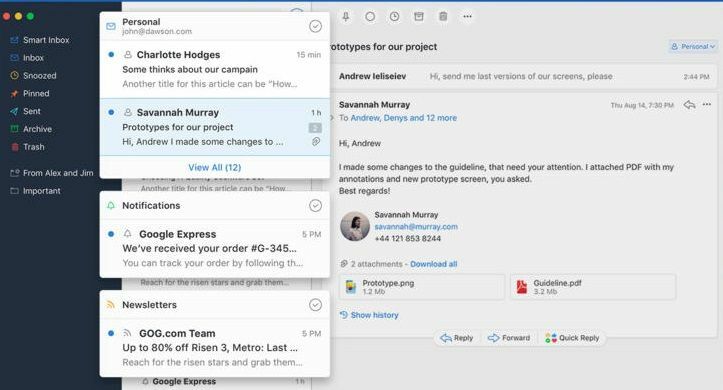 Spark is an intelligent email app for Mac with powerful tools and features. It will find your important emails and automatically categorize them into Personal, Notifications, and Newsletters. Thus it brings a well-organized approach to sorting emails from the very beginning as they arrive in your inbox. Spark works with any email service including Gmail, Microsoft Exchange, Yahoo, iCloud, Outlook and more. Inform Spark about your important emails, it will remember your instructions and notify you only when you receive such emails. Other times, it will remain silent and won’t disturb you with unnecessary notifications. Magnet is one of our favorite productivity apps for Mac to do multitasks. It lets you open multiple windows at the same time and from the single screen. Magnet makes it simple to switch in between apps and enhances your workspace productivity. Open your windows as many as needed and drag them to different parts of the screen to arrange. Keyboard shortcuts and menu bar icon are other methods to convert regular windows into organized tiles. Dropbox is another best of productivity apps for Mac. It helps you save any file type including docs, photos, videos in a highly secured cloud vault with options to share and collaborate with other teammates. It works on all major computer, mobile OS platforms, and devices. 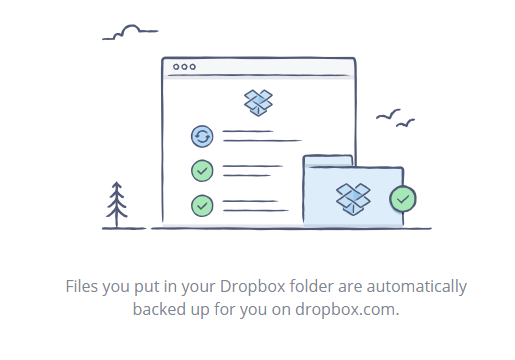 So you can access the project files that saved on Dropbox from anywhere anytime and make changes in order to update your work, suggestions, etc. Forget about your passwords in social media, email, and others. 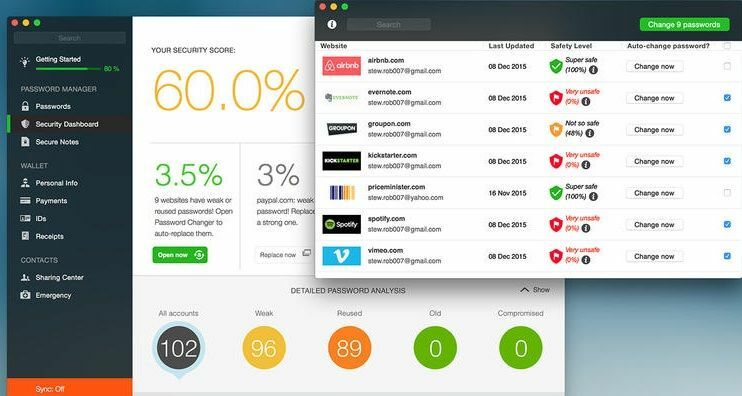 Dashlane is a universal password manager that stores your passwords, personal info, bank accounts, credit cards, passports, identity cards and receipts in an AES-256 encrypted vault. You can change weak passwords in one click and generate strong passwords using Dashlane. It will continuously monitor your accounts for security breaches and guide you on how to protect them from hackers. Dashlane work and sync across the devices including smartwatches and backup everything in the cloud. Are you a Mac user? Which is your favorite productivity app that you can’t live without?